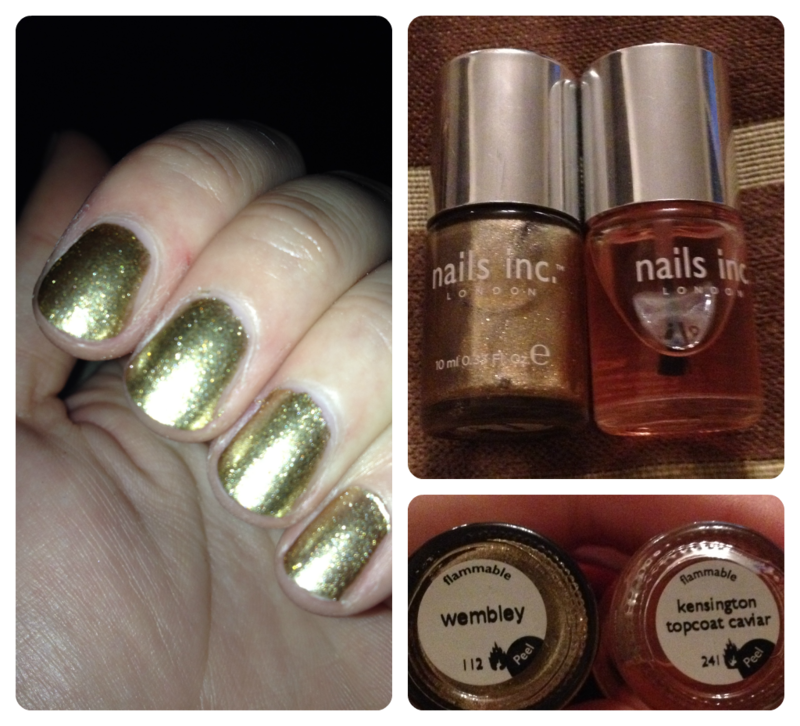 Part of the Metallics Collection by Nails Inc, Wembley* is a gorgeous Gold textured chrome polish that has a two-tone effect. The other colours are just as desirable, with a Silver and Bronze available, a reference to the Olympics being held in London this year. Thought I'd 'go for gold' as a nod to our boys playing in the Euros at the moment. After watching Sweden on Friday, my faith has been slightly restored by Roy and more so Walcott. Will be clapping my golden dipped hands tomorrow evening for the game against Ukraine. Did you watch the football? Who are you supporting? Nails Inc polishes are around £11 for a single polish, and £25.00 for a collection set. Whilst the price is higher than other brands, I think the Nails Inc ranges contain some beautiful colours that are long lasting and it's nice to be able to go back to a bottle of polish after a few months and find the consistency is as good as when you last used it. I have built up quite a collection of Nails Inc and find the wearability a top factor in why I time and again go for their polishes. I will say if you are on the look out for a topcoat that dries super fast and gives nails a great shine, the Kensington Caviar topcoat is the one. At £12.00 it's not cheap but it can stop your nails from chipping and leave them with a great finish. What do you think of my golden nails? And what's your favourite nail polish colour? Love your metallic nails, such a dramatic look and very cool.